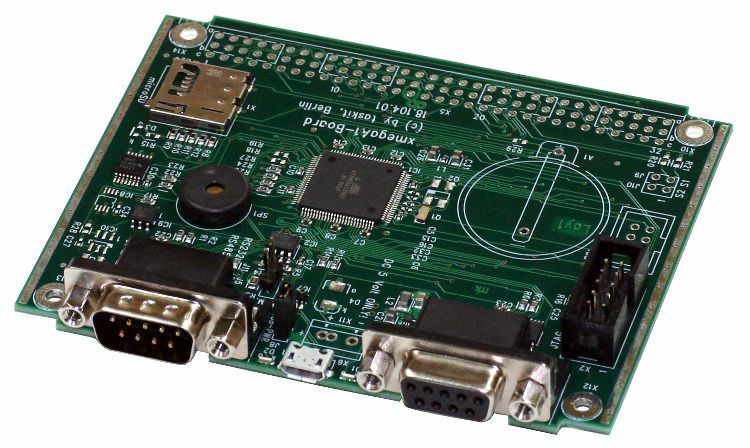 The xmega Board, equipped with the powerful Atmel ATXMEGA128A1 microcontroller, boasts a wide variety of connection possibilities. 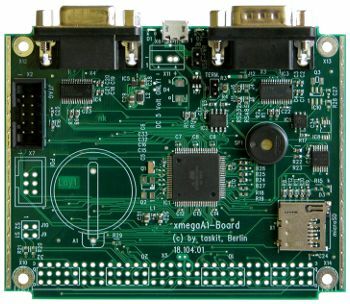 The xmegaA1 is the XMEGA richest in peripherals and connections; therefore it is the flagship of the new Atmel ATXMEGA series. With a 4-channel DMA controller, an 8-channel event system and a clock speed of up to 32 MHz, the xmegaA1 offers several new possibilities compared to the old ATMEGA series. The two RS232 and one RS485 transceiver offer comprehensive communications possibilities. 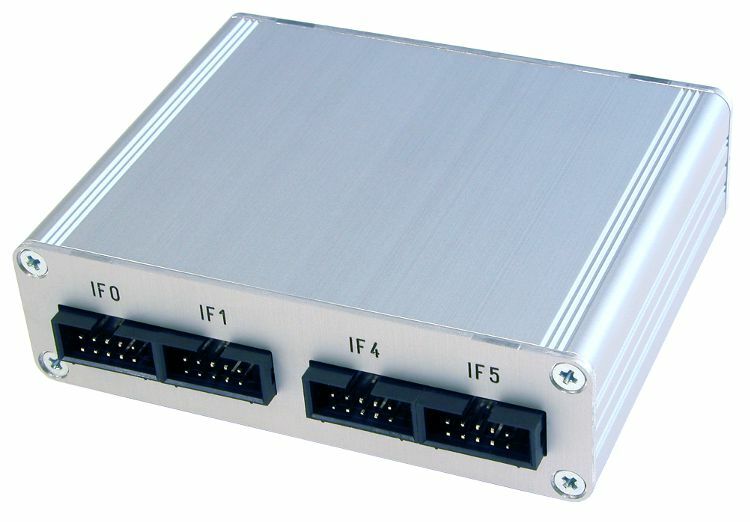 The xmegaA1-Board can thus be used, for example, as a Terminal Server/Client, Modbus Slave/Master or as a DMX end device (light technology). The MicroSD card slot and two 12-bit ADC channels, each with eight multiplex inputs, allow you to also use the microcontroller board as a great data logger. 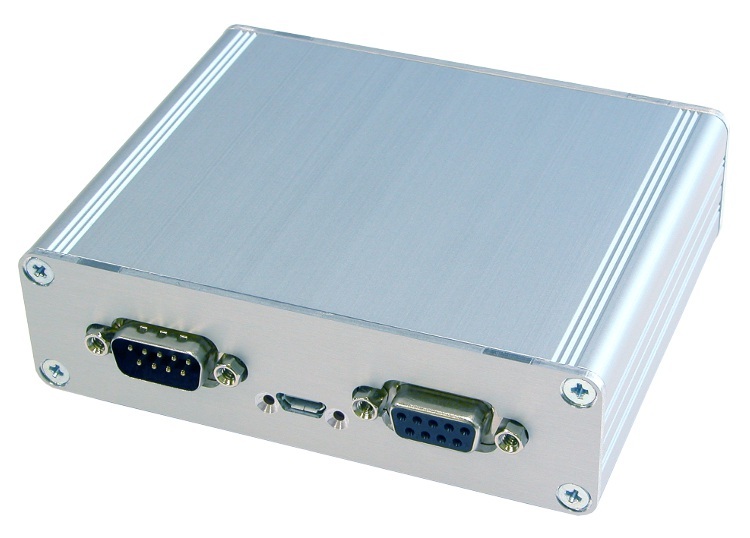 The module can be used in many areas of measurement, control and automization technology, such as light/motor control, measurement value logging, system monitoring and as interface converter. The ATXMEGAA1’s various energy-saving functions (i.e. sleep mode and the ability to change the clock speed as needed via software) make the XMEGA128A1 board also interesting for uses requiring limited power supply. The connectivity concept for connecting custom peripherals by means of your choice of connectors -- and the power supply via a standard Micro-USB cord are forward-thinking. 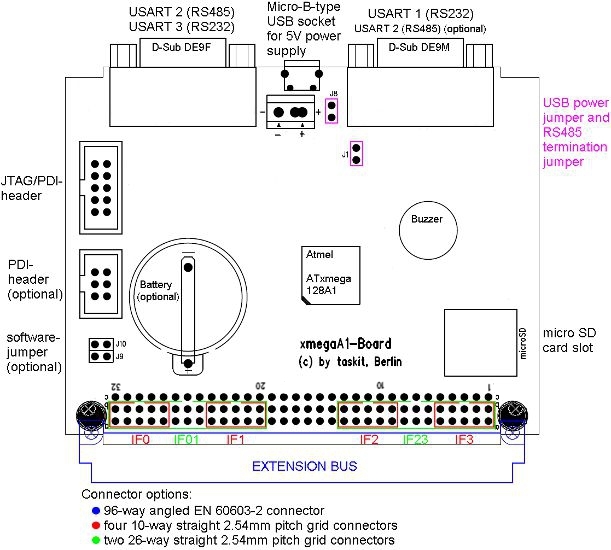 Since it takes the format of a half eurocard (100 x 75 x 17 mm), the xmegaA1-Board can be connected to your own hardware of the same size by means of a 96-pin pin-row connector in order to form a full eurocard format. The freely available Atmel AVR Studio 4 development environment, together with the free C compiler WinAVR (AVR-gcc for Windows), makes for an efficient software development in C or assembly language without software purchasing costs. Numerous application notes and the AVR® software framework 2.0.0 from Atmel offer a huge number of libraries and code examples to get you started straightaway with programming your desired solution. You can program the Xmega over the JTAG and PDI interfaces using standard AVR programming devices such as JTAGICE mkII, AVRISP® mkII or AVR Dragon from Atmel. 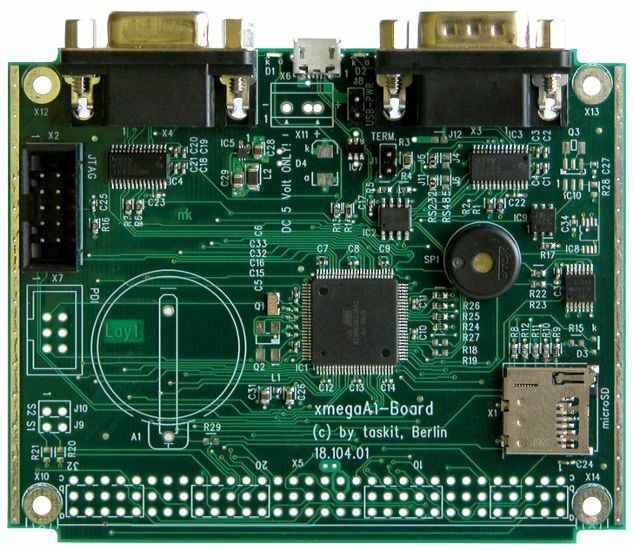 Since the xmegaA1-Board is delivered with a pre-installed serial bootloader, you can also program it without programming hardware. The bootloader is based on the Atmel Application Note AVR1605 (compatible with AVR911) and can be addressed with both AVROSP and AVRDUDE. You can read and write the flash memory, the EEPROMs and the fuse bits. The bootloader is activated by a jumper and runs at 115200 Baud or 9600 Baud. 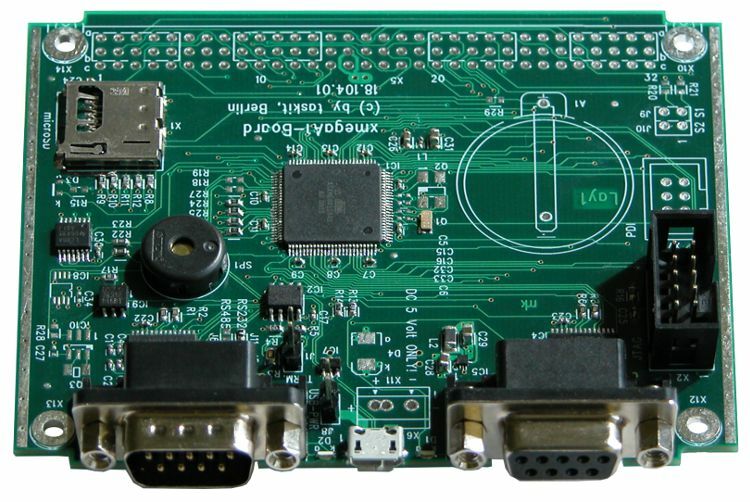 It can be used with all eight of the Xmega’s hardware USARTs.